Spotify is a popular music streaming service with over 159 million users, but most of them are free account holders. That means they get the limited Spotify experience: ad interruptions every 30 minutes, no option to download and play music offline, and they can only listen to playlists on shuffle mode. 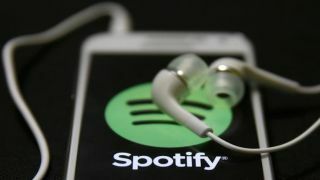 According to TorrentFreak, however, many free users are using rigged Spotify installation files freely available on many sites to get around those restrictions. All that's required is a user’s legitimate Spotify username and password and some premium features are unlocked. The “repeated use of unauthorized apps in violation of our terms” could see the pirated Spotify accounts shut down. The company has already demanded the removal of the popular Spotify mod called Dogfood from Github, along with several others that are using Dogfood’s code. Although the mods don’t unlock Spotify Cast, they do bypass ads and allow unlimited skips. Currently, there is no information on how many such "hacked" accounts are in use at the moment, though this policing comes just after the company's announcement that it's going public.